We are a financial consultancy providing finance and investment services for companies in the MENA region. We are engaged by our clients to advise on matters such as capital raising, bank financing, growth project evaluations, business valuations, monitoring investments, supporting financial decision making, recommending operational improvements and optimising overall business performance. Our clients are typically middle-market entities from various sectors including trading companies, manufacturing retail, service providers, investment companies, family offices and high net worth individuals, as well as larger business conglomerates. Supporting management teams with the roll out of VAT across the UAE & Saudi. 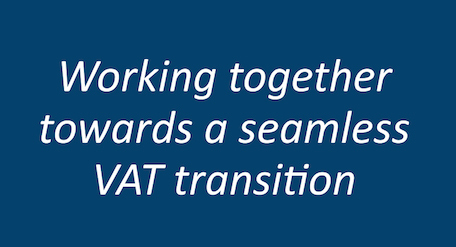 Translating the VAT regulations, and setting up effective accounts. Advising businesses to enhance their value and achieve growth. Crafting impactful Investment Packs for companies and finding assets for investors. Enter your details and get a quote personalized for your needs. We have advised clients on numerous engagements over the years in many diverse sectors. We develop customized solutions for each client taking into consideration their specific requirements while ensuring it is based on our sound understanding of the local values and culture. We advise clients in adopting the best practices to achieve their specific objectives. We structure unique propositions where we bring our diverse experience to develop a unique solution suitable to each business case. Whether it is to provide a holistic outlook for specific initiatives, position a business in the best possible way or devise a turnaround strategy to make the operations more profitable, our sample case studies give an overview of how we deliver value in various situations. Advisors M.E. is not only committed to deliver quality work, with the best international standards, but they are the able to generate ideas that best suits the business needs. Their strength is in building close-relationships with their clients, and we know they are trustworthy, because we see it in their actions. Access our complimentary guide to understand the steps involved in an M&A transaction and the proven strategies that maximize the value of your business. Please complete the form below to receive the complimentary guide.